The JQ404 is one of our reinforced French lace bases thanks to its stitching lines across the lace for better shape retention and contour plus added durability. Bleached knots make the hairline undetectable. 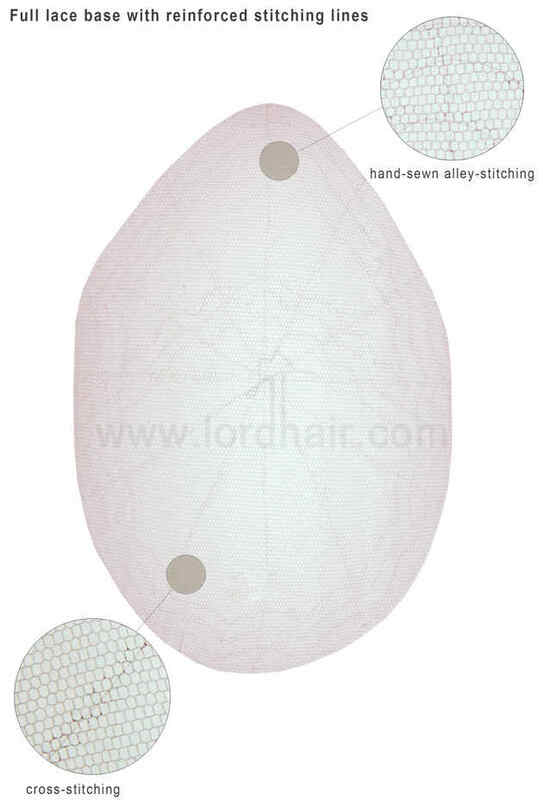 These full French lace hair systems are a combination between comfort and undetectability. They are extremely lightweight and the whole base is fully breathable. Bleached knots make the hairline unnoticeable and hand-sewn stitching gives a better shape to the contour and extra durability. When worn, the base of these hairpieces for men is totally invisible. Extra light to medium hair density can be supported with these systems. Base Construction: All French lace base, hand-sewn stitching for better shape contour and extra durability. Bleached knots make the hairline undetectable. When worn, the base is totally invisible. Hair type: High quality Indian human hair, Chinese hair, Remy hair and synthetic hair are available. 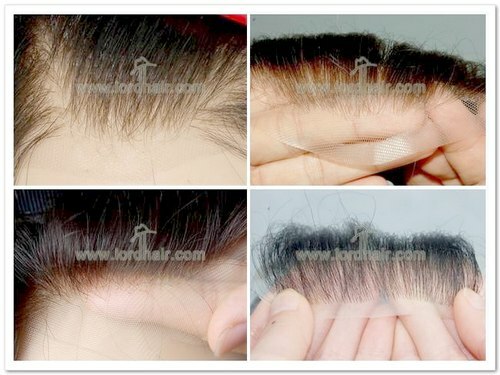 Appearance: Front hairline and top totally undetectable, Natural appearance, beautiful looking. Comfortability: Feather light, whole base absolutely breathable, comfy feel. Weakness: Easy to be damaged from tearing and tougher cleaning. 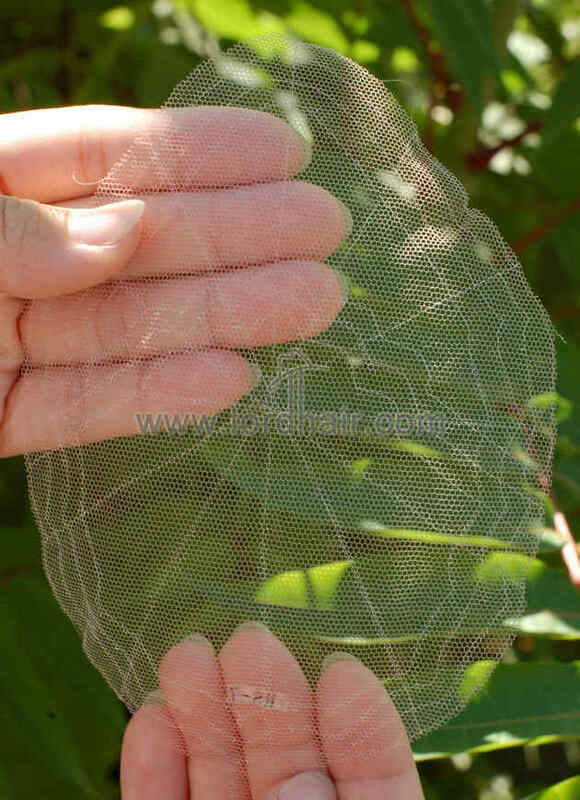 Applicable User: Wearers who want undetectable hairline, natural looking, comfortable feel, but don’t overly mind the durability.